We had successful and productive 3 days throughout the exhibition. During the show we showcased our Brand new factory, noodle section and snack section. 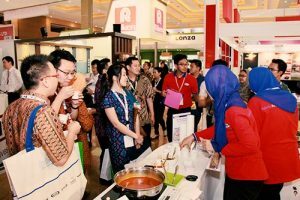 At the Noodle Section, our guests were enjoying our noodle seasonings: White Curry inspired by famous Malaka dish. Also our guests were able to try our homemade Meat Extracts and Flavour Ingredients. 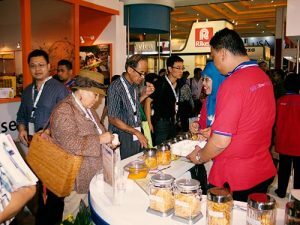 At the Snack Section, our guests were enjoying our complete seasonings local and international menu. We also displayed some cracker fillings for biscuits industry. Japanese popular items such as: Matcha, Ogura, Halal Teriyaki and okonomiyaki. We expressed our gratitude to the whole Fia 2014 committee and to our customers and prospects.